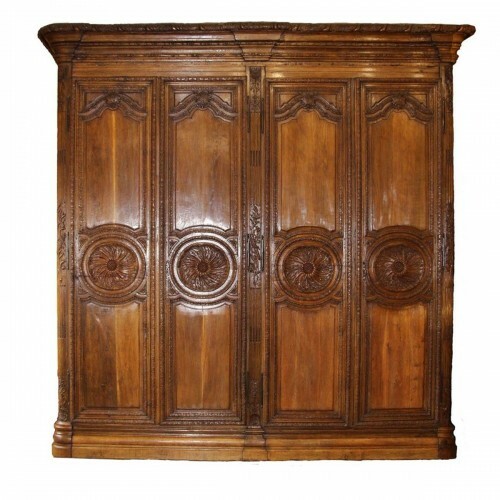 Beautiful small cupboard in walnut wood, in three parts. One cornice, one central body and a base with legs. Original locksmithing and espagnolettes. Wonderful sculptures and carved panelled doors.